At Literacy Arts, we encourage your child to go nuts about English. We believe in giving your child the language he needs to express himself creatively and confidently. We offer an exciting range of literacy and dramatic art programmes for all young learners aged 1 to 12. Our programmes are always child-centred, multi-sensory and loads of fun! We partner closely with you to ensure that your child receives the necessary learning support and guidance. Read what other parents feel about us here. Award-winning teachers, published writers and professional storytellers are just some of the inspiring talents your child will meet in his time with us. Artful Bubs & Tots: A playgroup bursting with creative activities like drama, free-form art and storytelling. This is a drop-off programme for 18 – 30 month-olds. Ready Readers: Fun Phonics™: A scientifically-proven, effective approach to learning reading through phonics. Penmanship skills are developed alongside reading abilities. Highly recommended for 3 – 7 year olds. Speech & Drama: The ability to speak and communicate well is an asset to your child. We help groom your child’s confidence and creative flair through interactive drama sessions. Preparation for internationally-accredited S&D Exams (Trinity/LAMDA) is also possible. ScorE! Strategic English: Mastering a language is not only about passing exams with flying colours. ScorE! provides the perfect balance between English enrichment and academic learning. Interesting themes and materials are used to stimulate interest, expand vocabulary and world view while equipping students with the necessary skills to ace school tests. 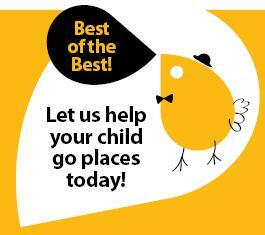 Call us now to arrange for a private tour and free assessment of your child’s learning needs. Where you are free to dream and think. If you are ready for an adventure, come on in!